Brochures, pocket folders and postcards, OH MY! 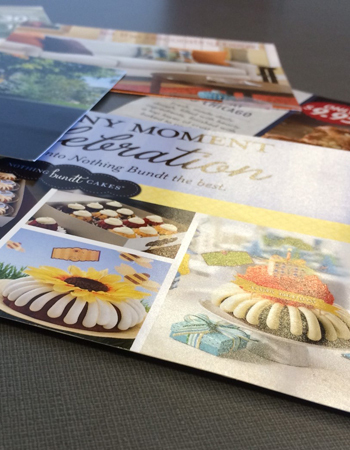 Print marketing communicates key messages to your audience about your products and services. We serve local and regional clients who are looking for expertly produced traditional and digital printing. Every single piece of printed material should be considered part of your marketing, and should therefore be professionally designed and branded accordingly. Print marketing has continued to grow and evolve along with the surge of new marketing technology. 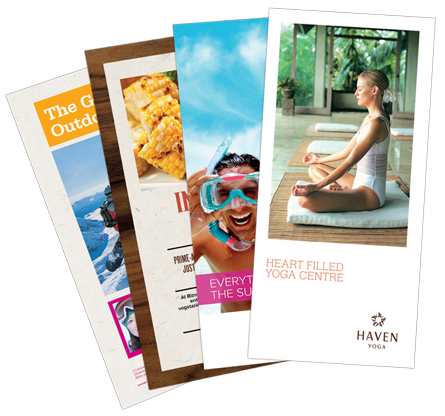 Brochures are a staple in business print marketing. Standard trifold and bifold layouts work well to organize information in easy to read segments. Various paper and finishing options can be selected to compliment the overall design. 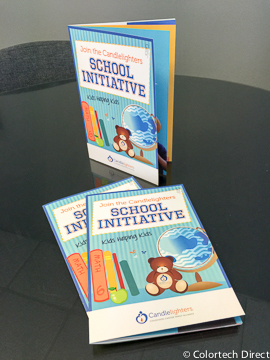 Rack cards are extremely versatile and can be used in multiple ways. 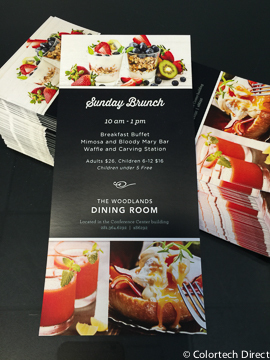 Beautiful full color printing on thick card stock with various finishing options make excellent marketing collateral. Our design time can create a stunning layout for your message today. Do you have more information than what will fit nicely in a brochure? A booklet might be a good option for you. Using your organized content we can discuss the various options and create a useful booklet for your business or organization. 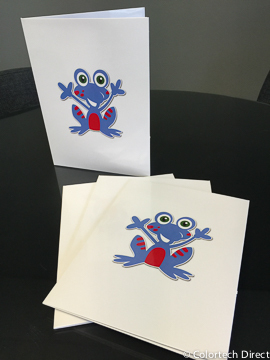 Having a nice pocket folder adds a professional touch when you have a lot of paperwork, forms or information to give a client. Select one or two pockets, add a business card slit, design a custom pocket shape, use stitched inserts... the possibilities are endless. 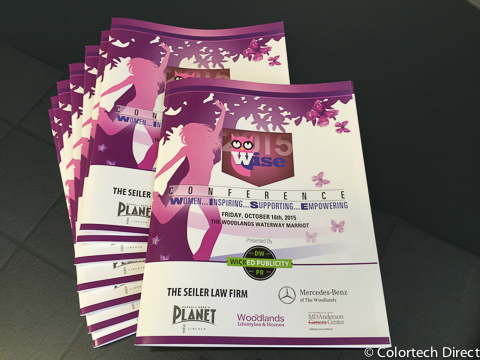 Multiple page conference program, saddle stitched (stapled) binding for the WISE Conference. Advertisements sold in this publication were used to offset printing costs. Post cards are so relevant to reaching certain markets. People trust printed messages much more than the fluid and constantly changing online environment. Let us help you create a post card that is sure to create a lasting impression. 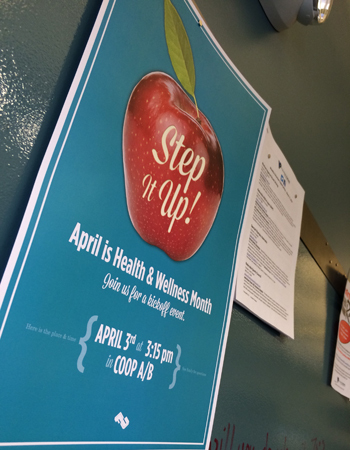 Flyers can be top of the line handouts or basic and inexpensive. We can help you select style, stock, size to create a flyer tailored to fit your needs. People still love to get a printed newsletter. Email boxes are becoming overrun with messages that are often overlooked to simply deleted before reviewing. 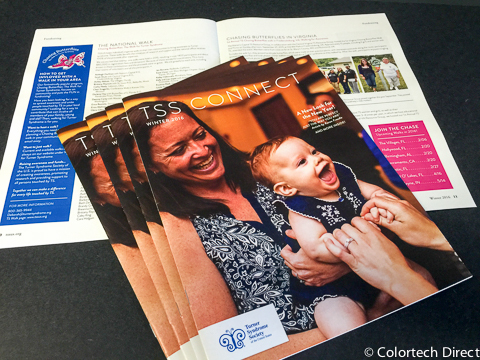 A printed newsletter gets your important information in the hands of those that need it. 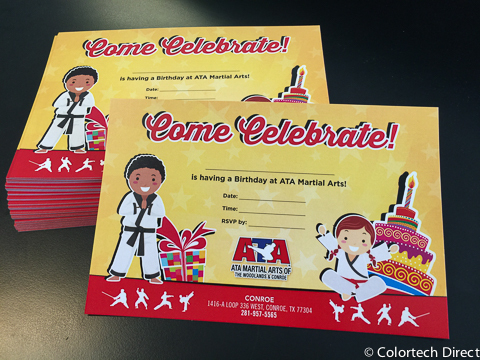 Invitations can be printed in large quantities for companies that host celebrations. This is a nice add on for the host to include in their celebration packages for their client. A recent study of close to 30,000 readers across 14 countries by the International News Media Association (INMA) and Research and Analysis of Media (RAM) has found that consumers overwhelmingly trust print media and say that they will continue to read the printed editions.